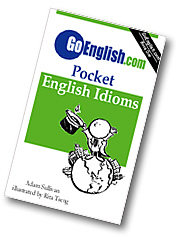 Today's Idiom = "Bringing Up The Rear"
The person who brings up the rear is the one who is last. Example: "There you are again Schmidt, bringing up the rear." The one who is behind all of the others "brings up the rear." Example: "Why is it that every time we run, you are the one bringing up the rear?"